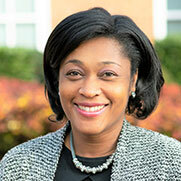 Stephanie T. Dance-Barnes, associate professor of cell and molecular biology at WSSU, is a recipient of the 2019 Board of Governors Award for Excellence in Teaching. 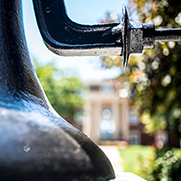 Read about faculty, staff and student awards, appointments and achievements for February 2019. 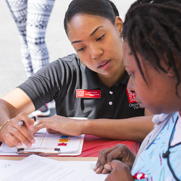 For the third consecutive year, graduates of WSSU's Doctor of Physical Therapy program have received a perfect 100 percent passage rate on their national licensure exams. In addition, one student in the program earned a perfect score. 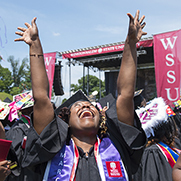 Technology provider CollegeNET is saluting WSSU as the top ranked HBCU on its Social Mobility Index. Read about faculty, staff and student awards, appointments and achievements for January 2019. 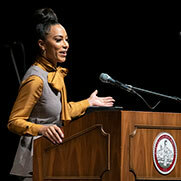 WSSU and Wake Forest University partnered to celebrate the life legacy of Dr. Martin Luther King Jr. with events throughout the holiday weekend. WSSU's Birth-Kindergarten Education (BKE) program is the most affordable in the nation, according to a new ranking from a national website. Read about faculty, staff and student awards, appointments and achievements for December 2018. 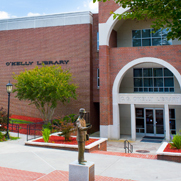 WSSU won awards for its website, marketing and for military-friendly programs. WSSU is no. 7 on CollegeNET’s 2018 Social Mobility Index (SMI) rankings, which recognize colleges and universities that provide the best opportunities for underserved students. Student Miranda Legg collected more than 5,000 beauty and personal care empties to win national competition through Garnier. 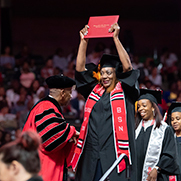 According to Diverse Issues in Higher Education, WSSU again ranks among the top producers of bachelor’s degrees in the nation for African American students. 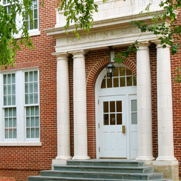 WSSU also ranks in the top 10 nationally for rehabilitation or therapeutic professions and nursing. 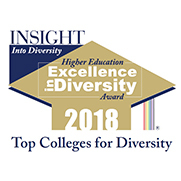 WSSU is the only HBCU to win the 2018 Higher Education Excellence in Diversity (HEED) Award from INSIGHT Into Diversity magazine. 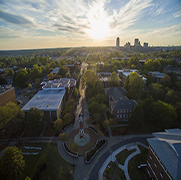 A new study estimates that Winston-Salem State University (WSSU) has an annual economic impact of more than $420 million and generates 8,389 jobs in the Piedmont Triad. For the second consecutive year, technology provider CollegeNET has recognized WSSU with its Social Mobility Innovator Award. WSSU’s Girls Empowered in Math and Science (GEMS) and Women in Science Program (WISP) each have received the 2018 Inspiring Programs in STEM Award from INSIGHT Into Diversity magazine. 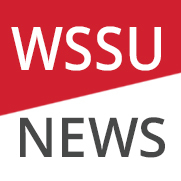 WSSU ranks as the no. 1 HBCU in North Carolina, and no. 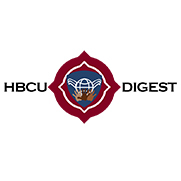 3 HBCU overall, according to the Money Magazine's "Best Colleges for Your Money” rankings. 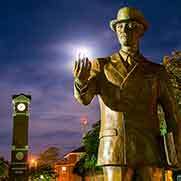 WSSU graduate and undergraduate programs continue to soar in newly published national rankings. 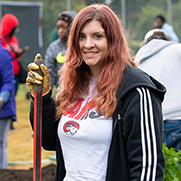 WSSU is one of seven mentor institutions in the Foundation for Student Success mentorship program. The program is set to impact 100,000 Black, Latino and American Indian students at 21 mentee institutions. WSSU's nursing and social work programs each earned top honors at HBCU Digest’s 2018 HBCU Awards on June 22. HBCU Digest announced WSSU as a finalist in seven categories, including top honors for "HBCU of the Year" and "Male President of the Year." 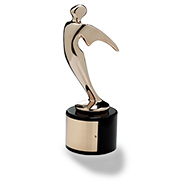 WSSU won two Telly Awards a Silver People's Telly and a Bronze Telly for a music video featuring the Singing Rams, the university’s choir. 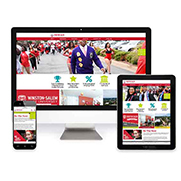 A digital marketing agency has named Winston-Salem State University’s website one of the best designed university websites in the world. Graduates of two of Winston-Salem State University’s signature graduate programs continue to excel on their national licensing exams, receiving 100 percent passage rates on their required licensure exams for 2017.